Remnants, Fireside Games's newest game, hits streets on June 27, 2018. The compelling art, real-time dice-rolling mechanic for resources, and custom compound building will draw in the strategy gamer who enjoys beautiful games with stacked decision making. 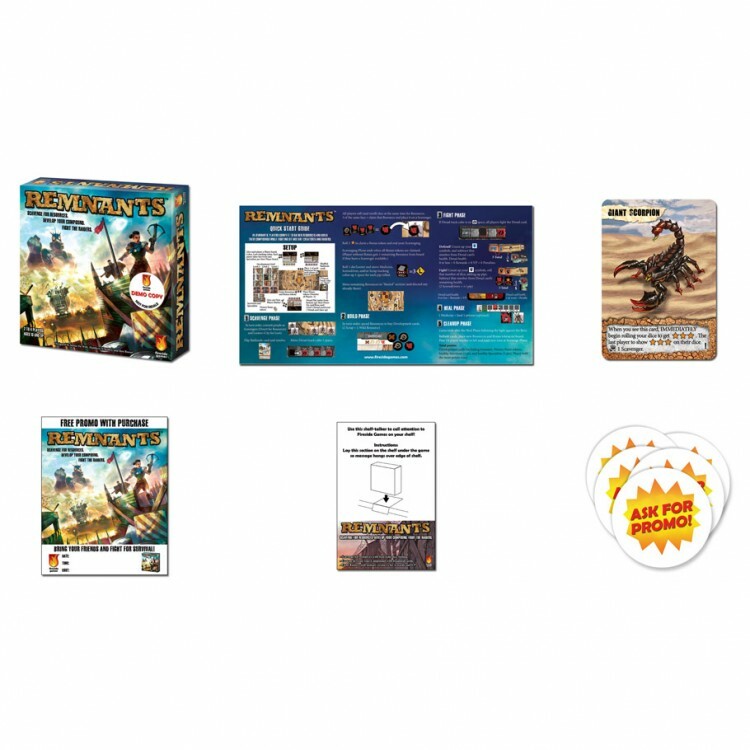 The Remnants Launch Kit makes it even easier for game stores to sell Remnants by helping to maximize their space with demo events. Each, launch kit has everything you need to join in the fun, including the exclusive Giant Scorpion promo card!